There are three kinds of appeals which you can make when an application is rejected. These are merits review, judicial review, and Ministerial intervention. Deciding which action to take can sometimes be simple, or sometimes complex. The following information is just an initial guide to how the appeal system works. When a Department of Home Affairs officer makes a decision on your visa application, you may be able to make an appeal to a Tribunal which has the power to look at all the facts and the law and substitute a decision, or part of a decision, in your favour. There are strict time limits and rules on where you must be located to lodge an appeal. Not all decisions can be appealed. Please ensure to get in contact with us as soon as you receive a refusal. The Administrative Appeals Tribunal (www.aat.gov.au) is the oldest and largest of the Tribunals. 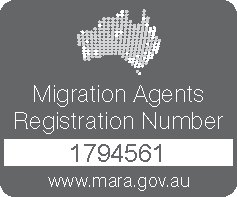 It deals with every area of Australian government, and it is the primary Tribunal for migration matters. The fee for lodging an AAT is currently $1764, half of which is refunded if you are successful. In 2001, immediately prior to the Federal Election of that year, the Government introduced measures which were intended to eliminate Federal Court appeals against immigration decisions. It has become apparent, in the light of decisions by the Federal Court and the High Court, that this initiative was only partially successful. Therefore it is still possible to lodge an appeal to the Courts, but essentially only where it can be argued that there was a jurisdictional error. If you are contemplating such an appeal for any reason, it’s best to get reliable advice. Lodging these applications can be expensive, and if you lose you might need to pay the costs of the Australian Government in running your case against you. We have appeared in the MRT in Sydney and Canberra, the AAT in Sydney, Canberra, Adelaide, Melbourne and Brisbane, and the RRT in Sydney and Canberra. As a former member of the New Zealand Refugee Status Appeals Authority, as well as the Social Security Appeals Tribunal in Australia, George Lombard has a wealth of experience and exposure to Tribunals’ operations and is our principal advocate. Almost all the appeal cases we see involve an application lodged either personally or through another agent, and only rarely do people provide all the documentation relevant to that appeal. We therefore usually initiate a request for access to the file at the time of lodging an appeal. In the case of the AAT it is the responsibility of the Department to provide a set of documents, called the “T Documents”, which set out all relevant file papers. In each other kind of appeal it is normally necessary to obtain the file through a Freedom of Information request. We can normally only identify the full extent of the problems in a particular case when we receive the file, and if you need to lodge an appeal you may need to do so before you can obtain access to the file.